The Made In Occupied Japan (MIOJ) 50/2 Collapsible Nikkor in quite rare in Nikon mount, being made only for the Nikon One and unsynced Nikon M. The Collapsible 50/2 was also made in Leica mount screw mount as original equipment for the earlier Nicca Leica copies. Of course, they were also sold separately. In the late 40's and early 50's, Nikon needed the extra bucks from it's screw mount lineup. Apparently the optics of these early Nikon mount and Leica Screw Mount lenses were identical, just the barrels and mounts were different. No click stops. 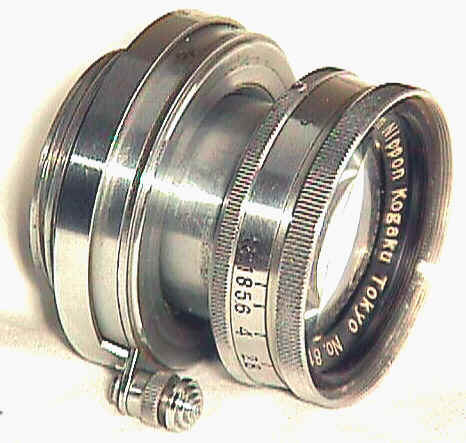 Though the 50's were not engraved "Made in Occupied Japan" like the 35, 85, and 135 lenses, the "Tokyo" on the filter ring essentially means the same thing to today's collectors. 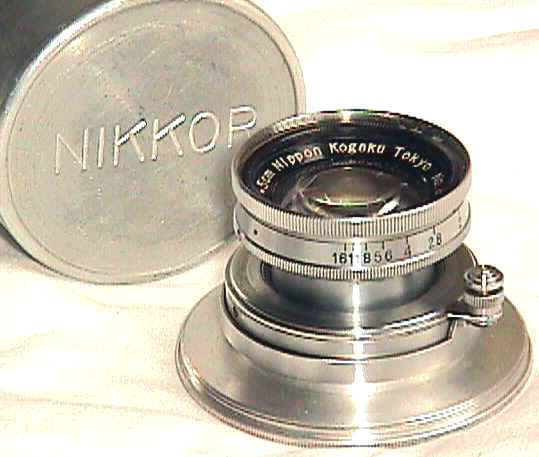 The original aluminum Nikkor lens can is much harder to find than the lens!